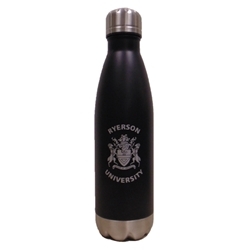 Ryerson University Campus Store - Water Bottle Matte Black 17 Oz. Gifts & Stationery → Giftware → Water Bottle Matte Black 17 Oz. Water Bottle Matte Black 17 Oz.